Both sequenced in the last two years, the common chimpanzee (Pan troglodytes) and bonobo (P. paniscus) genomes have shed enormous light on the evolutionary history of the great apes. To understand their evolution in even finer detail, a team led by investigators at The Salk Institute for Biological Studies in La Jolla, California, presents in Nature today (October 23) an analysis of human, chimpanzee, and bonobo induced pluripotent stem cell (iPSC) genomes. Analyzing chimp and bonobo iPSC genomes, the researchers found greater expression of L1 transposons in both primates, as compared with humans. 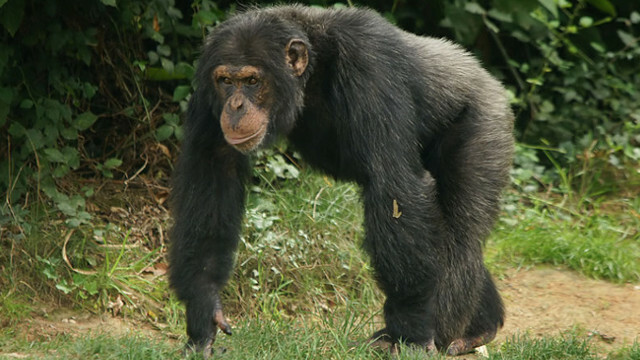 Overall, though, the team found that human, chimp, and bonobo iPSC genomes share nearly 98 percent of their material in common. M.C.N. Marchetto et al., “Differential L1 regulation in pluripotent stem cells of humans and apes,” Nature, doi: 10.1038/nature12686, 2013. First established in 1974, the bacterial genus Gloeobacter has typically eluded researchers, and until now, only one species (G. violaceus) has had its genome sequenced. 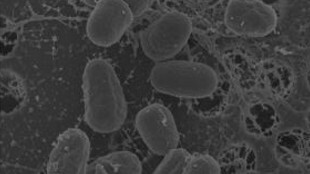 But a team led by investigators at the University of Hawaii at Manoa report in PLOS ONE today (October 23) the complete genome of a G. kilaueensis strain cultivated from a biofilm in a lava cave in Kilauea Caldera. G. kilaueensis is thought to be one of the earliest cyanobacteria capable of oxygenic photosynthesis, and it lacks the thylakoid membranes essential in all other cyanobacteria and plant plastids for the light-dependent photosynthetic reactions, making the organism an important piece for understanding the cyanobacteria lineage. J.H.W. Saw et al., “Cultivation and complete genome sequencing of Gloeobacter kilaueensis sp. nov., from a lava cave in Kilauea Caldera, Hawai’i,” PLOS ONE, 8(10): e76376, 2013. 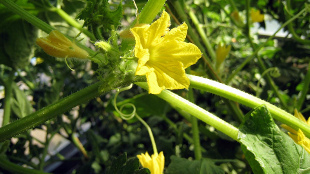 First sequenced in 2009, the cucumber (Cucumis sativus) is an agriculturally important plant that has helped researchers deduce key evolutionary events in crop domestication. Now, a team led by investigators at the BGI in Shenzhen has resequenced the fruit, decoding the genomes of 115 lines sampled from more than 3,300 collections worldwide. Their results were published this week (October 20) in Nature Genetics. In a comparative analysis, the researchers found evidence that fruit crops, such as cucumbers, “underwent narrower bottlenecks during domestication than grain crops,” they wrote. The researchers also identified several regions that were affected by putative domestication sweeps, including one that contains a gene associated with the loss of bitterness in fruits. J. Qi et al, “A genomic variation map provides insights into the genetic basis of cucumber domestication and diversity,” Nature Genetics, doi:10.1038/ng.2801, 2013. 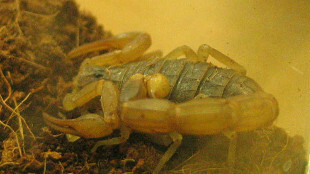 Like other creatures that have maintained ancient anatomy and survived extreme climate changes, the Chinese scorpion (Mesobuthus martensii) is often referred to as a living fossil. A team led by researchers from Wuhan University in China described the M. martensii genome in detail in Nature Communications this month (October 15). “Although M. martensii appears to evolve conservatively, it has a greater gene family turnover than the insects that have undergone diverse morphological and physiological changes, suggesting the decoupling of the molecular and morphological evolution in scorpions,” the researchers wrote in their paper. They added that the expansion of gene families enriched in basic metabolic pathways, signaling pathways, and neurotoxins, among other things, contributed to the long-term adaption of the Chinese scorpion lineage. The expression of genes associated with prey, nocturnal behavior, feeding, and detoxification also appear to have played important evolutionary roles, the researchers noted. “The researchers found 116 genes that encode neurotoxins, including 45 previously unknown ones,” reported Science News. Z. Cao et al., “The genome of Mesobuthus martensii reveals a unique adaptation model of arthropods,” Nature Communications, doi:10.1038/ncomms3602, 2013. The first genome sequences for tiger (Panthera tigris) were published last month (September 17) in Nature Communications. 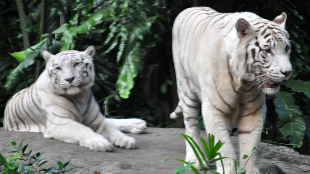 Researchers from the BGI and elsewhere reported sequences forAmur Tiger, the white Bengal tiger, the African lion, the white African lion, and the snow leopard, providing the largest compendium of big cat genomics to date. The genomes could help researchers better understand how tigers evolved, and inform conservation efforts. Current estimates count fewer than 10,000 wild tigers worldwide. On his blog, Gene Expression, Razib Khan noted that increases in sequence quality and sample size would help researchers understand big cats even better. “The main concern with a species like the Siberian tiger is that they may go extinct very soon and very rapidly, even in the scale of genome technology time,” he wrote. Y.S. Cho et al., “The tiger genome and comparative analysis with lion and snow leopard genomes,” Nature Communications, doi:10.1038/ncomms3433, 2013.